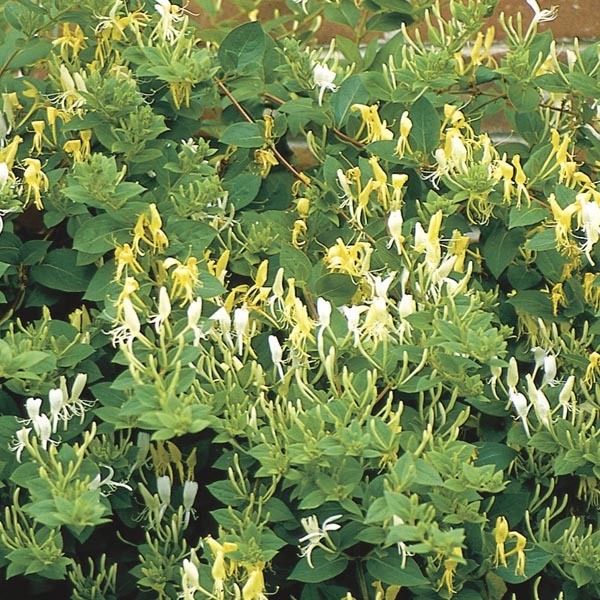 A vigorous, twining climber that brings cottage charm to any setting with its rambling habit, delicious scent and pleasant color. The fragrant blooms will attract a proliferation of butterflies and hummingbirds well into late summer. Commonly used to climb fences or walls. Beautiful trained to posts, latticework and trellises. Great for privacy screening on decks or blocking unsightly views. Adapts to most soil types. Best in fertile, well-drained soil. Keep soil moist, watering freely in dry weather. Provide climbing support, tying shoots up until well established.